I decided to forget analyzing the waste of a fantasy week known as week 17 and put my efforts into something more meaningful. With all the unimportant statistical outputs, lackluster play, and meaningless player commitments, it seemed like a waste of time to even summarize. So instead, let’s dive right into one of the most exciting and scientific parts of the season, Playoff Fantasy Football! Just because you lost in the playoffs or didn’t even make the cut doesn’t mean your season is over. The NFL Playoff brackets are set and the New Fantasy Season has just begun. Playoff fantasy Football is just another avenue to keep your competitive juices flowing well beyond the regular season. You can look at it as a way to extend your terrific season or a way to write all the wrongs you acquired on draft night. Either way you look at it, the concept is exactly what you need in order to keep your fantasy game on track. 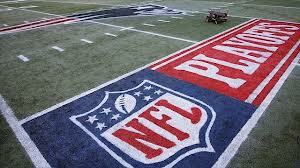 Over the past few years playoff fantasy football has grown immensely in popularity. There are two formats of playoff fantasy football that are most popular. There are a few different formats to choose from, but the easiest and most common is the “survivor” league format. In this style, each week you select a lineup (1 QB, 2 RB, 2 WR, 1 TE, 1 Flex, 1 K, 1 DST) from the pool of players playing that week. Obviously, in the world of Fantasy there are many deviations from this system, and in my case I like a one pick, final lineup system. The points get tallied up every week and the highest total at the end wins. Why give everyone an opportunity to switch players out every week? Unless you were playing FanDuel or Draft Kings, you were stuck with the guys you drafted all year, so why change now? My favorite system makes you pick your team before the first playoff game and stick with that team throughout the playoffs. Obviously you will lose players from week to week, but that is the power of the strategy. Why should it be easy? If you are a true fantasy player, you want to do research and devise formulas to come up with the ultimate lineup. The trick here is that you can only use a player once throughout the postseason. So if you want to use Tom Brady as your QB, yes you will not gain any points for his week one bye, but the hope is that he has 3 more games to play. The science behind Playoff Fantasy is a more in-depth way to see if you can hang with the big guys. I was going to put out my rankings for the Playoff system today, but think it is irresponsible to rank players before the end of the practice week. Over the next few days, I will be compiling information in order to make an accurate assessment of who I think will come out on top. These rankings will come out by Friday of this week, just in time for your playoff pick submissions. Good Luck! This is premium advice for the ultimate price of FREE…..Come follow me on Facebook at https://www.facebook.com/extremesportsaddicts23 or on Twitter @TCutillo23 for breaking news, stats, comical stories, and weekly projections. Also tune into Spice Sports on spiceradio1200am.com @9:30 pm (est) every Friday night to hear my Weekly Fantasy Sports Segment for all picks for the week and some interesting analysis from a great group of Knowledgeable Sports Enthusiasts. ***Also for all my secret wrestling fans out there, come follow my new column starting this Monday at eWrestlingnews.com..This site offers a ton of content and breaking news stories that pertain to the past and present business.